If you are looking for a fullwidth audio player for WordPress, then check out the “Fullwidth Audio Player” by Radykal. The author markets the plugin as the ultimate audio player. Regarding features, it does come with useful ones. 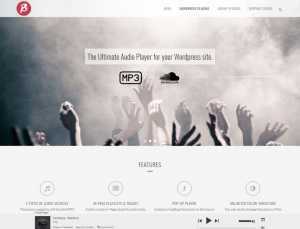 It lets you run MP3 and SoundCloud players using HTML5/Flash. Moreover, you can create your music page and customize it according to your needs.